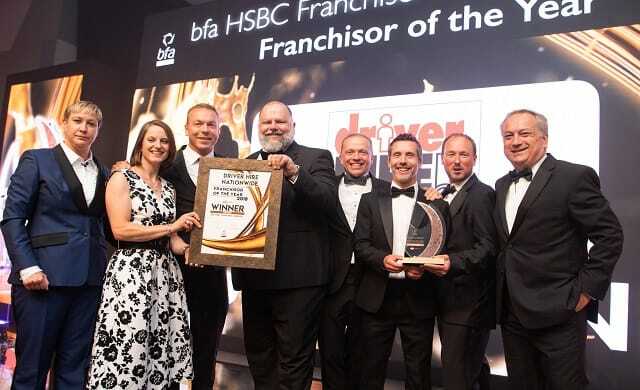 Driver Hire has celebrated renewed franchise success, collecting the bronze award for Franchisor of the Year at the 2018 British Franchise Association (bfa) HSBC Franchise Awards which took place this month. This was the 12th time in the last 13 years that Driver Hire has been a bfa award finalist and an award winner in three out of the last four years. DriverHire shared the award podium with McDonald’s Restaurants and Agency Express, while Olympic and world track cycling champion, Sir Chris Hoy, presented the awards. Established in 1987, Driver Hire is the UK’s largest specialist supplier of temporary and permanent staff to the transport and logistics sector and offers a potentially lucrative franchise opportunity for budding entrepreneurs. The average turnover generated by a Driver Hire franchise is more than £1.1m, more than three times the national franchise average of £378,400, while it claims its franchisees make an average net profit of more than £130,000 a year. For those looking to take up the opportunity, the chain offers franchise packages for a fee of £40,000 and looks to recruit those people who are ambitious, hard-working, committed and self-motivated. It says its success to date has been due to its relationships with its franchisee partners and a proven business model. It makes every effort is made to ensure prospective franchisees have the skills to succeed and it gives prospective franchisees access to all business areas and insight into running a Driver Hire office before they make any decision to invest. Find out more about becoming a franchisee with Driver Hire here.